The Lions Camps at Teresita Pines is a nonprofit organization that relies on the support of the community to continue our mission of delivering an amazing camp experience for children of all ages and abilities. This year we’re serving more children than ever before and the need for volunteers has never been greater. Are you a Lion who would love to be of service for the Camp, or know a family member, neighbor, or someone at your church who would like to help out? We would love to get in contact with you and show you how you can make an impact at camp and help the children We Serve. Please fill out the form below. If yes, what is the group? 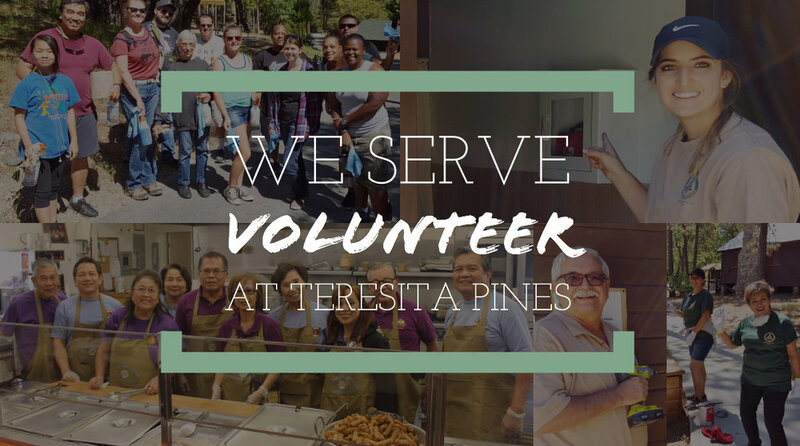 For more information about volunteering at the Lions Camps at Teresita Pines, Please send us a message. You can use the form on the left or give us a call at 800.585.3245. Thank you and we look forward to speaking with you. Please consider a small donation, every donation goes along way in helping keep Teresita Pines running.